This Sterling Silver suite features a Lemon Citrine Bubble Trapezoid set, including a Pendant and Ring. 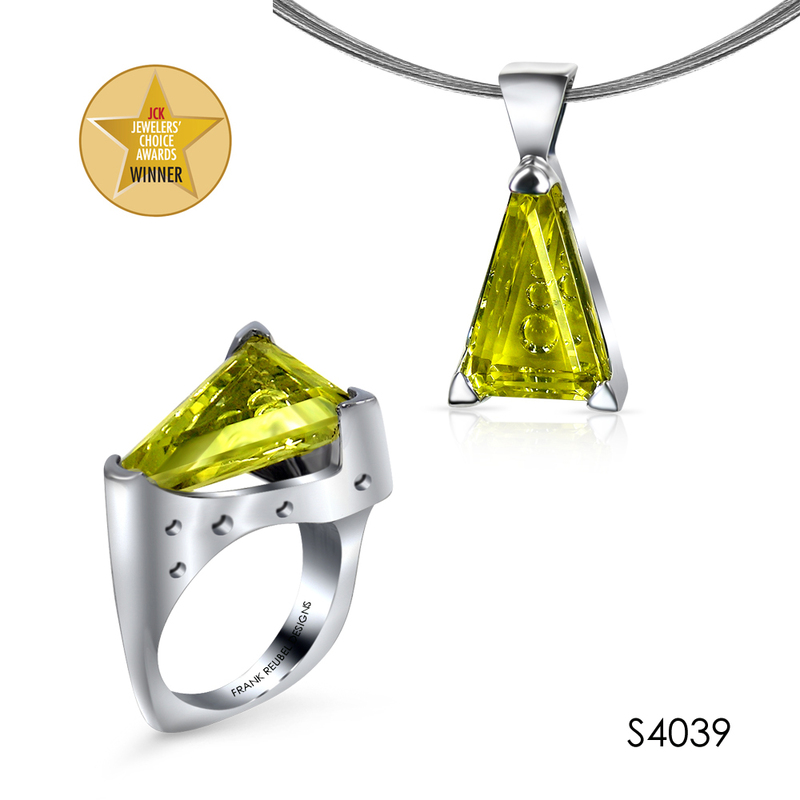 The pendant (MSP4039/LCIT) includes a 10ct Bubble-Cut Trapezoid Lemon Citrine. The ring (MSR4039/LCIT) includes a 10ct Bubble-Cut Trapezoid Lemon Citrine. The ring was a JCK Jewelers' Choice Winner in 2014. This set is available in other stone options--for more information please contact us.